Me and my stupid , spastic Smile. We had caterers for our lunchl as we had vistors from our relatives comming in. A picture of my Nephew with my grandma. 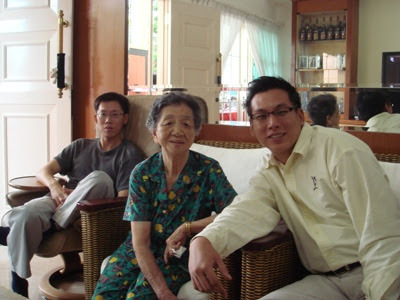 P/S:This was a late post cuz I had to upload the pictures from my sister's camera, when she next visited My parents.